First it was Nike Air Max, then it was Ray Bans now electric bikes are taking Australia by storm. The style and performance of A2B has appealed to Aussies so much since landing on Australia’s sunny shores that the world’s leading e-bike brand is proud to announce its hire scheme in Australia. The scheme makes the prestigious e-bikes available to everyone and encourages Australians to add A2B bikes to their summer of style. There are many reasons to pick an A2B bike – it allows commuters get to work on a bike without the need for lycra, it enables cyclists to get up those hills that bit quicker and to go that bit further than usual and it gives less experienced cyclists a confidence boost through smooth pedal assist. Australians can hire A2B bikes from most major Australian cities for anywhere from a couple of hours through to an entire week. Sydney is already feeling the A2B love with 2 hire locations offering electric bikes for both commuting and recreation. 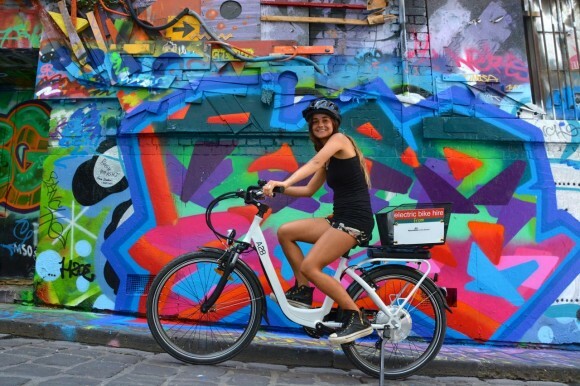 With over 2000 people cycling regularly from Balmain to the CBD, a small proportion of the 3.6 million Australians who ride a bike every week, the popularity of ebikes is sure to see those number escalate as cycling becomes more accessible to less experienced riders. The ability to hire A2B bikes is allowing Sydney-siders to arrive at the office in a positive state of mind after gliding past traffic and soaking up a few rays while overcoming hills as though they were mere speed bumps. A2B bikes can travel up to 25km/h and allow riders to travel around in style. The German designed and engineered bikes ride as beautifully as they look. Not only have A2B bikes won several design awards but they make cycling look sophisticated and allow people to ride in style. Whether a seasoned cyclist or in search of a new hobby for 2015, now is the time to get ahead and try an A2B e-bike. A2B are so confident that riders will like their e-bike experience that they are offering one lucky rider the opportunity to win a new e-bike in the New Year. It couldn’t be simpler to take part in the #A2Bselfie competition – hire a bike, take a selfie and post it with the #A2Bselfie tag. For further information please contact Marketing Coordinator - Australia, Katie Bell, on katie.bell@heroeco.com or 0415 687 965.